Crunchfish, the touchless tech startup, has earlier announced it will aim for an IPO at Nasdaq First North. 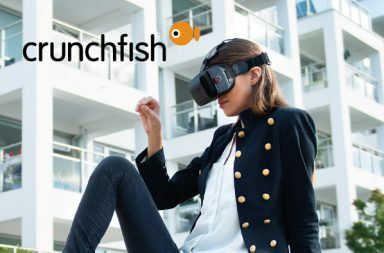 Crunchfish has build a tech that fits both the Virtual Reality and Augmented Reality need for controlling devices. Its technology, using hand-gestures to control devices, mostly mobile phones, started out being used as a fun way to take selfies with just a hand sign. However, the tech is well positioned to take advantage of the VR and AR boom, as gesture control seems to be the best way to interact in virtual environments. To build on it even further, the startup has just released it’s gesture control for VR. “Touchless gesture interaction is the natural way to control VR headsets. With VR content exploding on the market there is a need for gestures in most future devices. 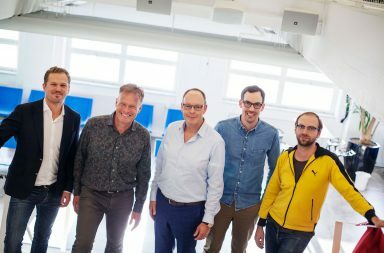 We are proud to offer a world class gesture solution to our customers for navigation and control of VR content.” says Joakim Nydemark, CEO Crunchfish. And it is not just tech – big companies are implementing it. Earlier this month Vodafone announced there flagship smartphone will implement Crunchfish’s touchless technology. That double lens on the Iphone 7? There is little doubt that VR and AR will be big. The interesting thing about the just released iPhone 7 plus is also showing that VR and gesture control can become even more important. For a double camera is not just good for taking pictures – it also makes it a lot easier for motion tracking och depth sensing. And with the iPhones best modell having two lenses, the number of Android manufactures building them will surely increase as well. It will surely be an interesting future for Crunchfish.